I grew up in country Victoria. We had a dairy farm at Buffalo River, in the northeast. All I knew about Aussie rules was my Dad and eldest brother used to talk about Essendon, whatever that was. It wasn’t until a fellow patient in Mt. Eliza hospital ‘recruited’ me as a Collingwood supporter that I began to learn about footy. He used to wear a jumper with black & white stripes and I was impressed. I have loved the Magpies’ jumper ever since. That was 1957 and that year we finished 5th., just missing the finals. 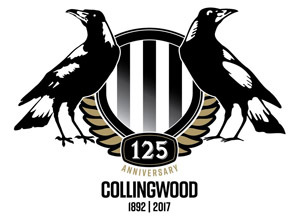 The following year was perhaps the most famous year in Collingwood’s illustrious history. 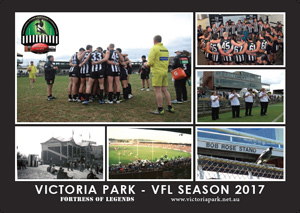 Before the season began, I had devoured every bit of information I could find about the Maggies and the VFL. Melbourne was the VFL juggernaut. A football machine. 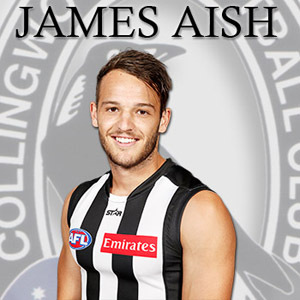 Coached by Norm Smith and led on the field by the dynamic Ron Barassi. They had won 3 premierships in succession and only Collingwood had won 4. They were hot favourites and were expected to brush us aside. Well, for the next half hour I learned what the saying – ‘winners are grinners’ – really meant. Melbourne fought back but the Maggies stood firm to win by 3 goals. I didn’t have to say a word. It was written all over my face. I kept hearing two names. Weideman and Harrison. Murray Weideman was captain that day as Frank Tuck was injured. He and Barry Harrison applied ‘physical pressure’ to a couple of the Demons’ stars, Laurie Mithen and Barassi, and then played football while the Melbourne players were ‘chasing shadows’. I’ll never forget how proud I was of ‘my’ team. All those wonderful names – Merrett, Sullivan, Gabelich, Serong, Twomey, Reeves etc. I could hardly wait for the Sun on Monday. In 1963, I was again in hospital (the Austin in Heidelberg) and was delighted to get a visit from a man who was my absolute idol, that same Murray Weideman. He talked to me for ages and as he left, he joked about me making him late for a ten pin bowling game with Bobby Skilton. It was a Friday night. The Pies were to play Melbourne the next day at the MCG. He invited me to come to the games that year as guest of the club and arranged it with the hospital to get me there. So off I went, in my wheelchair, the following Saturday to Victoria Park. I was awestruck. I was not only inside the famous ground for the first time but I was sitting in the players’ enclosure !!. During the reserves game, I met all my favourite players as they arrived for the main game. In those days, there was no coaches box high up in the stand, just a bench on the boundary. I was within arms reach and earshot of the legendary Phonse Kyne. It was his 14th. and final year as coach. This was amazing. Had I died and gone to heaven ? Magpie heaven?